Hopefully that wasn’t the last time that the F1 circus travelled to Italy. The Tifosi made for a splendid atmosphere as Lewis Hamilton took a giant step towards a third world title, equalling his hero, Ayrton Senna, and his boss Niki Lauda. But while it was a stroll in the park for the newly blond Briton, others had to work a lot harder to earn results at Monza. It was always going to be tough for Renault-engined cars at Monza with its long straights requiring a pure power from the engine which Renault simply doesn’t currently have. Whether it was tactical or a political move to get out of their contracts, Red Bull and Toro Rosso decided to take engine penalties knowing they would struggle against the Mercedes and Ferrari powered teams, filling the final two rows on the grid. Ricciardo started 19th, ahead of only Verstappen on the grid. 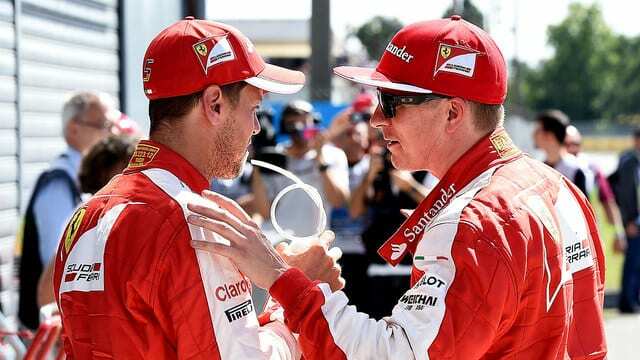 But with a great start and other’s misfortune, the Aussie had climbed up to 11th by the end of the second lap, fighting with Button, Sainz and Räikkönen. The Ferrari had too much pace to hold back, but Ricciardo held firm in the midfield throughout the first stint, despite starting the race on the slower medium tyres. Those ahead of him peeled off into the pits as their soft tyres cried enough. Ricciardo was up to seventh, fighting with Sergio Pérez 40 seconds off the lead, before he finally made his stop on lap 30. The Red Bull driver came out of the pits in 10th place with work to do, but on the soft tyres the Aussie had all the tools he needed to chase down Nico Hülkenberg and Marcus Ericsson ahead. Ricciardo closed the 16 second gap over the last 20 laps, revelling in the extra grip he had through the corners to make up for his power deficit. After Nico Rosberg’s engine went bang, Ricciardo made his move at the Parabolica on lap 52, his and Ericsson’s last lap, to take eighth place, something that was surely beyond the team’s target given such a dreadful weekend. 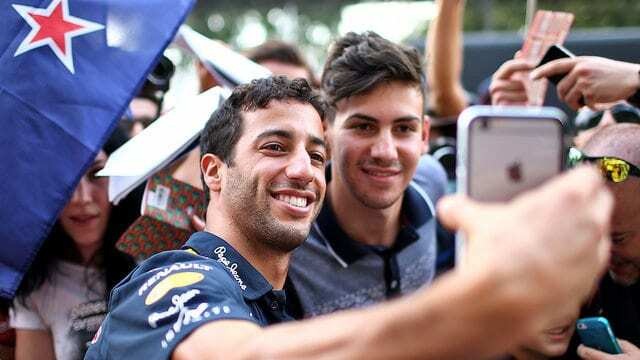 Beating Ericsson on the run to the line gave Ricciardo four points, halving the gap to his teammate Daniil Kvyat to just three points in the drivers’ championship. Räikkönen back on form with recovery? Ferrari’s flying Finn had a great weekend, but for about five seconds right at the start of the race. While Vettel had the edge over Räikkönen throughout practice, it was Kimi who (finally) showed his skills in qualifying. Räikkönen beat the German by three tenths in Q1, before losing out in Q2. But for once, it was Räikkönen who was the clutch performer in Q3. Hamilton was always going to be out of reach for pole position in his rich vein of form and with his new Mercedes power unit, but both Räikkönen and Vettel managed to beat Rosberg and seemingly give Ferrari a platform to mount a challenge for the win on home soil. Be it driver error or a mechanical issue, the red mist instantly descended over Kimi's scarlet Ferrari. But that went out the window when Räikkönen was left on the grid, ruining all of his good work in qualifying. Be it driver error or a mechanical issue, the red mist instantly descended over Kimi's scarlet Ferrari. The Finn dropped to last going into the first corner, unlucky to go into anti-stall on one of the longest runs down to turn one on the calendar. But Räikkönen had gained back six places by the end of lap one, chasing through the pack with the out of positions Red Bulls, Toro Rossos and McLarens (going in the other direction). Räikkönen passed Alonso, Ricciardo, Button and Sainz in quick succession, jumping up to ninth by the end of the sixth lap, putting himself back in position for a solid points haul. 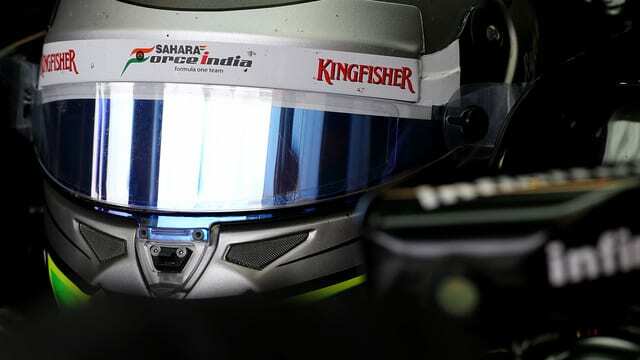 Räikkönen gradually closed the gap to the Force Indias and Marcus Ericsson ahead, managing his tyres in the clear air he had. His tyre preservation allowed him to stay out to lap 28, longer than anyone but Ricciardo, and came out in tenth with much newer tyres. Kimi now had to work his way through the field once again over the second half of the race. With Ricciardo pitting two laps later, the Finn made it past Marcus Ericsson and then Nico Hülkenberg before setting off after Sergio Pérez in sixth over the last 20 laps. After several laps of pressure, Pérez relented and Räikkönen was through to sixth, and then promoted to fifth with Nico Rosberg’s failure with a great recovery drive. As a cash-strapped team struggling to develop their car, Force India know that they need to capitalise in on the power-dependent tracks like Monza where their Mercedes power unit will help them challenge for points. And that’s exactly what the Silverstone squad did with Sergio Pérez getting the maximum out of the car for sixth place and Nico Hülkenberg chipping in with seventh place. Pérez was on form all weekend and had the measure of Nico throughout qualifying and in the race. Both cars made it through to Q3 with Hülkenberg scraping in by 15 hundredths of a second. Come Q3, Pérez starred, beating Hülkenberg by seven tenths of a second to qualify seventh, with Romain Grosjean splitting the Force Indias. Pérez jumped past Nico Rosberg at the start of the race, moving up to fifth place but he couldn’t hold on to the position past the end of the second lap. Afterwards Pérez had a quiet drive, unable to keep up with Hamilton, Vettel and the Williams pair ahead but easily holding the gap to his teammate in sixth. The Mexican was up to third, staying out while Rosberg and the Williams' made early stops, pitting himself on lap 23 and dropping to eighth place before Räikkönen and Ricciardo pitted. What was a five second gap to Hülkenberg after they had both stopped grew to 25 seconds as Pérez managed his tyres well and showed good pace throughout his stint on the medium tyres. He needed to keep the pace up too, with Kimi closing fast. Pérez fought valiantly but was unable to hold back the Ferrari on fresher tyres, losing out going into the Variante del Rettifilo (I do love it when tracks have corner names) with just four laps to go. Pérez was left to manage his car and consolidate a great result, bringing 14 points and opening up a 13 point gap to Lotus, giving the team a great opportunity to finish fifth in the championship. Speed Kings: Who rules over one lap?